There are many real estate agents out there – there’s probably one in front of you in line at Starbucks right now. They all say they want to work for you and will do “whatever it takes!” But how do you know when you’ve found the right one? What should you look for in a real estate agent? 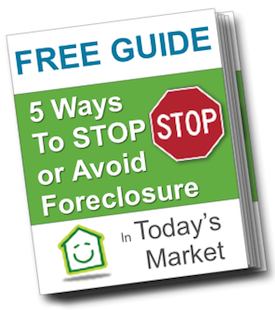 Ask your friends, family, and people you know who have recently bought or sold a house. Direct referrals are golden. Not just for the names of agents they happen to know and like but haven’t used, but people who have recently actually bought or sold a property and the agent they used. Read Google reviews and see what people are writing about them. An experienced agent should have plenty of 5-star reviews on many different real estate and related sites. Do your homework and research a few agents before you decide on one. Remember, you will be committed to this agent for at least a few months while they attempt to sell your home, so you need to be sure you are working with someone you can rely upon! It’s 2017. People shop online for their homes just like they do for birthday gifts. Your agent should have a visible presence on the major real estate websites and probably have their own specific site. They should know how to get your listing seen by the right people, which platforms are the most effective, and how to use photography to sell the house if not hiring a professional photographer outright (preferred). They should be able to communicate properly and effectively using whatever works best — phone, text, Facetime, etc. How they are presenting themselves online, is how they will present your house. If they have only set up basic profiles and/or have missing property information or photos, they could take the same approach with your listing. Make sure they have the skills to present your property in the best possible light! In this day and age, there’s no excuse for not having a strong digital presence. Real estate is a very competitive industry – no surprise there, right? Your agent has to be someone who is working hard, all the time! They should be someone with big goals and who shows dedication and drive. How you do one thing is how you do everything, and someone who appears to be chasing down a dream will likely be someone who works hard to make you happy. They should be keeping you updated and checking in with you often as new buyers come forward. While there may be many part-time agents out there, you don’t want a part-time effort, do you? Better yet, they live in the neighborhood or nearby. Having a real knowledge of the area will help them to best market your home. They will have an understanding of the local demographics and what buyers are looking for. They will be able to answer all questions about the neighborhood and really be able to sell the location to potential buyers. If they love the area, they will be able to convey to others why they will, too. It’s easy for an agent to say they know the whole island, but there are often big differences between neighborhoods and your agent should know how to handle these. Professionalism goes a long way. Working with someone who is always on time, who keep their appointments and who follows through goes a long way. If your agent is frantic, running around and appears scattered… they probably are. Work with someone who effectively allocates their time and is focused on you and your needs when you are with them. They should be able to update you on nearby sales, interest in your home, buyer appointments, potential offers and what they are doing to actively sell your house! Remember, at the end of the day, real estate agents are salesmen. They want to sell your home to make their commission (which is fine!). Make sure you do not fall for someone who will overpromise and underdeliver or sell you on unrealistic, inflated listing prices just to secure a listing contract. Instead, look for agents who are knowledgeable, have great reviews and who are able to educate and walk you through the entire selling process!